William Nelson IV ’56, a Board member from 1993 to 2004, died Dec. 5. After receiving a B.A. in chemistry, Nelson received an MBA in finance from the University of Pennsylvania’s Wharton School in 1958 and a Ph.D. in economics from Rice University in 1965. He combined these three degrees as a chemist, first with DuPont, then Monsanto, where he also held directorships and managerial positions. He served as executive vice president and president of the North American software company Pansophic. The company went from $40 million in revenue in 1983 to $250 million in 1989. His career in the computer software industry culminated in an appointment to chief executive officer of Ontario-based GEAC Computer Corp., on whose board he had also served for eight years. The company almost doubled its revenues during Nelson’s tenure. He also chaired many company boards and was a member of the White House Task Force on Library Information Sciences. In addition to serving on the Board of Managers’ Instruction and Libraries and Student Life committees, Nelson was an admissions interviewer, and a generous donor to the College’s Alumni Fund. 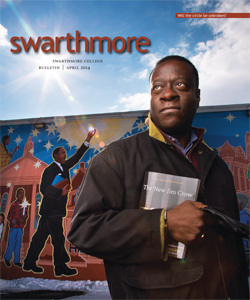 His Swarthmore ties include his great-uncle Julian Barnard ’22, cousin Esther Halteman ’34, and wife Linda Aurand Nelson ’59.